The Monte Carlo Buffet is all about celebrating indulgence. 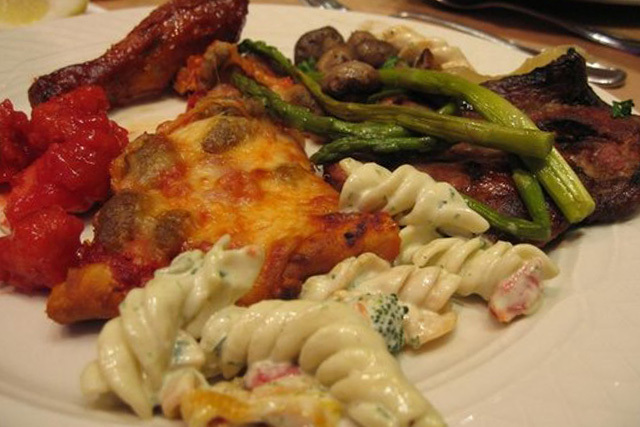 Of course, when you visit a buffet with food this good you will not have any problem indulging. You will find fresh food, a comfortable atmosphere, and a pleasing decor. 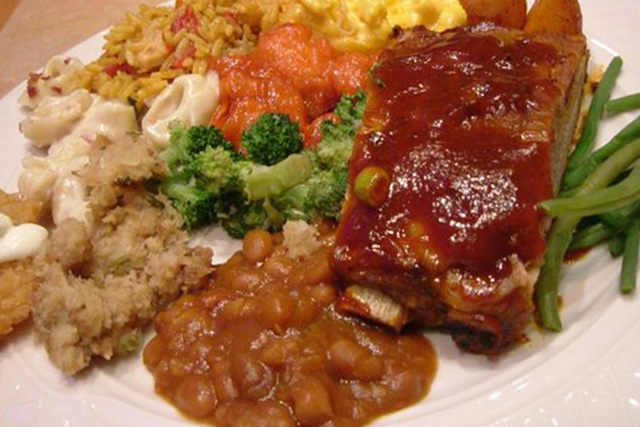 There is a wide variety of foods no matter what meal you will be enjoying. If you are looking for something healthy or you are a vegetarian, you will love the extensive salad bar that comes complete with plenty of leafy green vegetable and tons of colorful, delicious fruits. There are also numerous salads and other dishes on the salad bar. In addition to salads , there are plenty of hot dishes to warm and fill you up. You will be able to choose from numerous made to order dishes at grill and pasta stations. At the carving stations, you can indulge in beef and turkey that is freshly carved for you upon your request. Once you have had your fill of your main meal it will be time for desert. The deserts at The Monte Carlo Buffet are some of the best in town. You will be able to enjoy ice cream, cakes, pastries and more until you just cannot eat another bite! Mickeba sez! Eat here, it's good. No, it's great! I've had breakfast and lunch on many occasions at Monte Carlo Buffet and have NEVER been disappointed. The food is fresh, the menu evolves and there is always something new on tap. Best of all, the service is tremendous. The price is incredibly reasonable as well. Quite actually, it's underpriced. It's a fantastic value. At 19.00, it's about the same price as a premium buffet was 10 or 15 years ago. So value is definitely found here. On our last trip to Vegas, we had a package from the hotel which gave us a buy 2 get one free on the buffet. SCORE!!! It was great! The food is superb and the service is as good as you'll find anywhere. Definitely eat at Monte Carlo. We've eaten there loads of times. Our daughter had her wedding there and everything was superb. They really put themselves out to make it a perfect day. Couldn't have been better. Food excellent, good value and pleasant staff. We hope to be there again soon and wouldn't miss the Monte Carlo buffet. It's the very best value on the strip by far!! !